Even in this advanced modern period, people are finding ways to get the vicinity of the nature. One of the best ways to amuse your self with natural affinity is the cherished possession of wooden furniture in your house. With the growing demand and high prices of the wooden furniture, people have found a better alternative to the expensive wood, which is pallet wood with an extreme stamina of recycling. 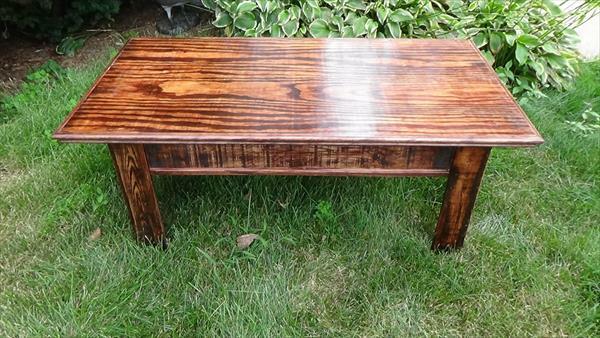 An accentuated pallet coffee table comes first in mind when we plan to assemble pallet wood furniture. This pallet reclaimed coffee table is true spokesman of the easy to use and cost friendly qualities of pallet wood with an element of finest and pure elegance. 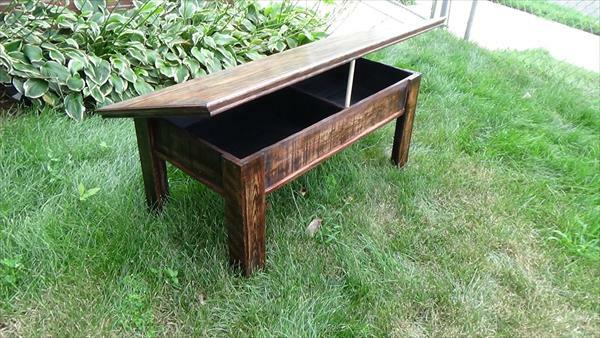 Another interesting feature of this table is its lid which can be uplifted and propped open with a wooden dowel, leaving you with an inside storage where you can hide things like remotes, game controllers, books or any other gadget when you are not using it. 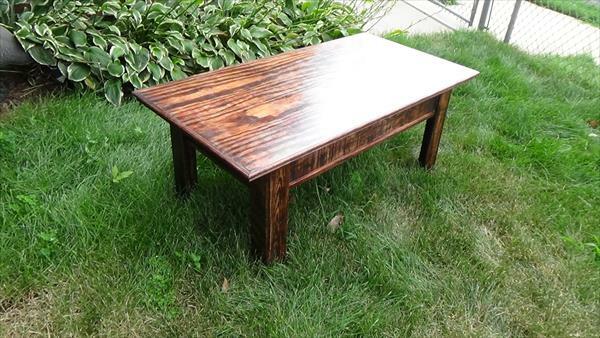 It has been stained with red mahogany minwax color for a shinier and smoother surface. The table can be adapted to any part of the house be it bedroom, living area or patio.